The Caravan park is situated within a rural woodland consisting of four fields amongst two tiers. The main reception building is located centrally within the bottom tier of the park, this is along with the café, bar, eating lounge, disco room and a toilet and shower block. The main entrance drive has a slight incline to reception. Wheelchair users would need assistance to travel from the bottom section of the site to the top part of the site up the steep hill. The top camping and touring section of the site is accessed by a short steep hill of which accommodates a facility building housing toilets, showers, disabled toilet/shower room, laundry room, a customer pot wash room, games room and gym. The disabled shower room is provided with a wider door, shower, wash hand basin, grab rails and toilet with an audible and visual alarm system. The onsite games room, gym, upstairs bar / disco room is not wheelchair accessible. All other customer rooms are wheel chair accessible or can be accessed with assistance – which staff can provide if required. The roadways are made up of tarmac planings and are level although uneven with rough patches in some places. The main entrance and access to the site are all tarmac roads. Parking beside units on the hardstanding only is allowed. 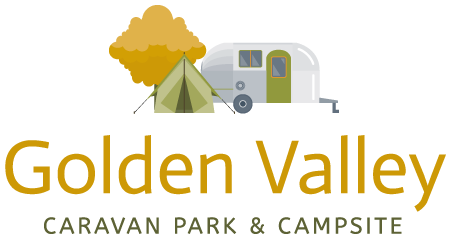 We have 3 different parks on site the caravan park, two in the bottom section of the site and one at the top tier of the site. There are numerous water points, dustbin areas and fire boxes most of which are on the fields and on the level, there are some dustbin points adjacent to the roadway as is the glass and cardboard recycling point. The chemical and grey waste disposal points are located in three separate areas on site; two within the top area of the site and one at the bottom part of the site to the side of reception. There is a local bus service which is a short five-minute walk away from the main site entrance driving to locations such as Alfreton and Codnor which can then lead to cities Derby and Nottingham. We have numbers for local taxi operators in Reception. There is a list of useful and helpful numbers that are displayed on the reception office door, and there is a 24-hour emergency warden contact in case of any issues or requiring assistance during your stay, the main building is fully lit through all hours of darkness. Most of the mobile telephone networks operate on the park although some get a stronger signal than others. We have WIFI access available for part of the site and there is internet access available at the Public places within the local area.